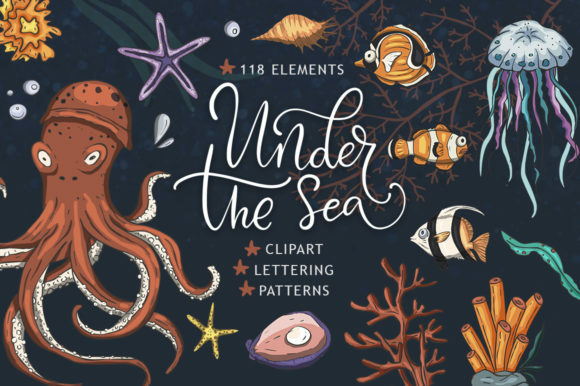 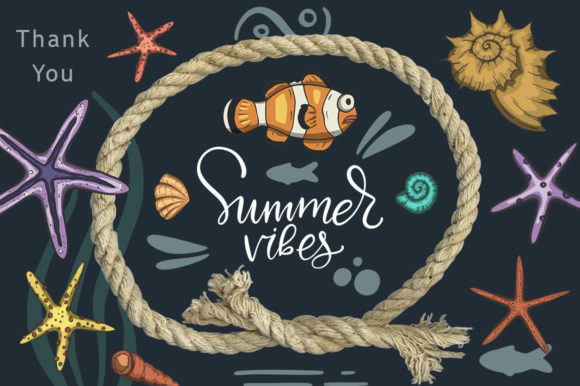 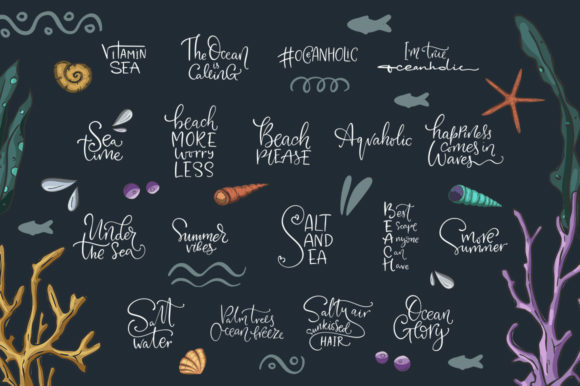 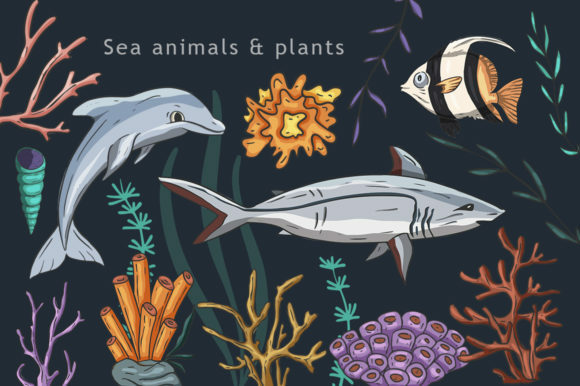 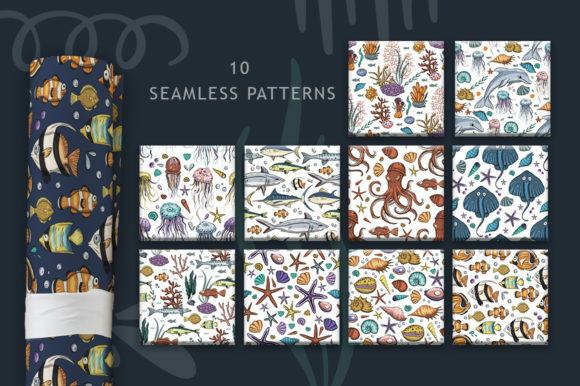 “Under the sea” is a big collection of more then 100 elements, with detailed color cliparts, seamless patterns and lettering quotes about sea, ocean and summer. 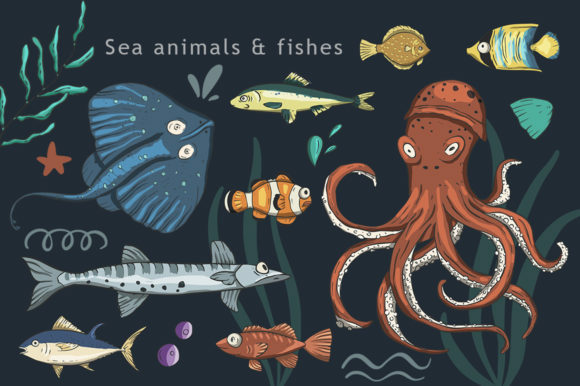 All elements are saved in JPG, PNG (all elements saved separately on transparent background) and in EPS vector files. 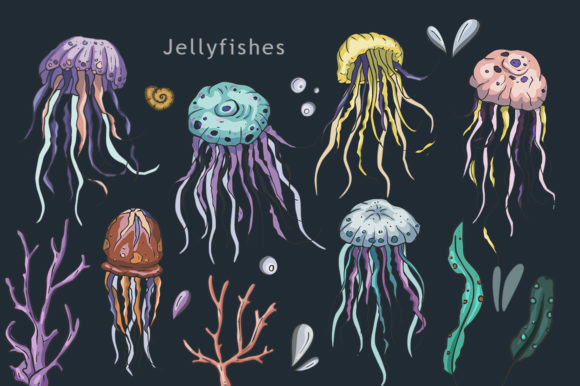 All “Under the sea” clip arts are very detailed and comes in same color as on the preview images. 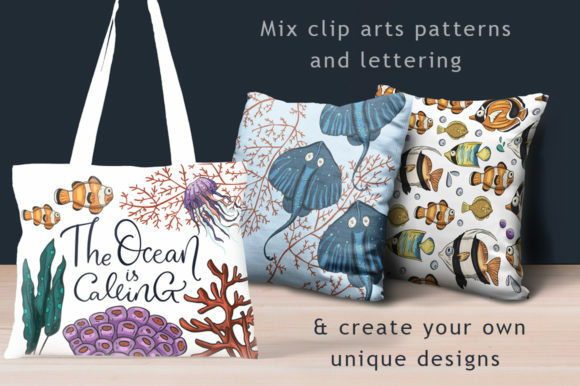 Illustrations, patterns and lettering will add a little joy to any project. 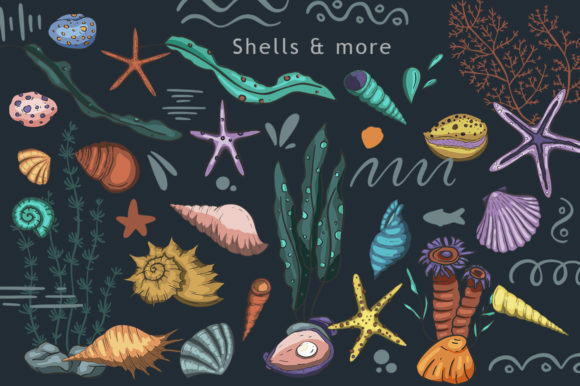 Use individually or all together for a fun invitation, blog template, personal print to create greeting cards or use graphic on t-shirts, posters, mugs and other beautiful projects you are working on. 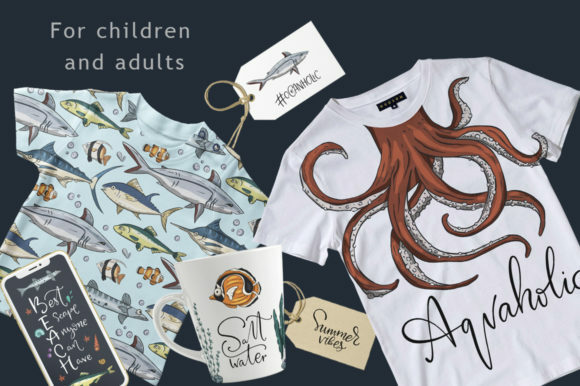 Children and adults, all those who love summer and sea nature will be happy to receive a thing with this big collection – “Under the sea”.